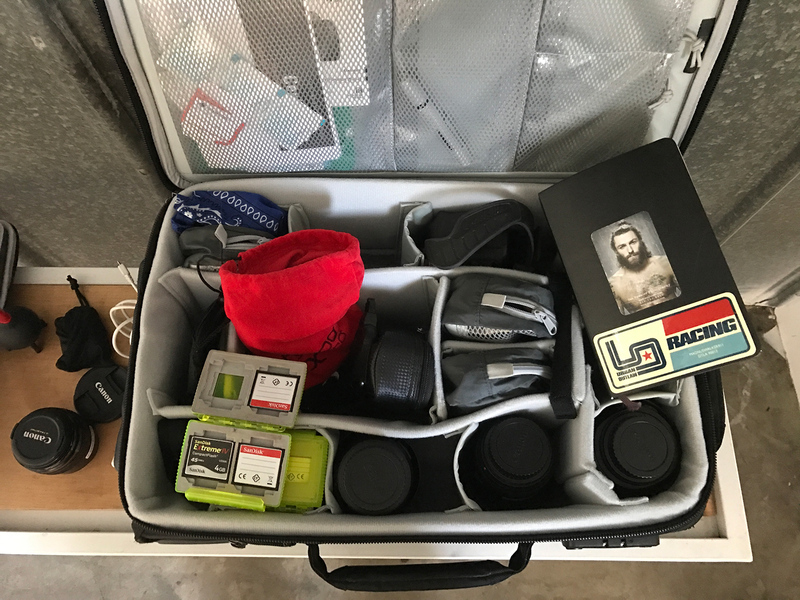 Loweprofessional Ian Spanier has found an inventive way to showcase his work: a self-titled magazine featuring photos, interviews, notes and more. Below he explains how this new portfolio came to be and how it has helped share a deeper understanding of his craft. Three years ago, I met with creative director Warren Mason to brainstorm a way to showcase my work in a different way. Initially, we discussed making a series of posters but soon realized that between the two of us we had nearly 40 years of experience in magazines – so why not create a magazine of my work? One of my challenges in my career has been explaining what I shoot. There’s always a variety from celebrity and sport to travel, lifestyle and corporate. I have a bit of an old school mentality in regard to photography. Essentially, the idea that a photographer shoots what he sees – more than just fixed on one subject alone. Sure, it’s not for everyone, but that has always been my nature. What I wanted to showcase more than anything is what it’s like to work with me and my crew, and what I hope I bring to the table that is unique. The initial hope was that the mix would show a consistent style despite the changing subject matter. The idea is that every part of the magazine, from cover to cover, is a glimpse into the world of my photography. The ads are ads I shot, and the “features” are made of assignments and/or self-assignments. To round out the concept I interview clients, show personal work, share my pre-shoot notes, include quotes from photographers I admire and showcase places I’ve been. The design is all Warren, who has a great understanding of, and appreciation for, my aesthetic. This is integral to the success of showcasing the photography in the right way. I was a bit reluctant at first, but he named the magazine IAN. To truly complete the picture, I enlisted the help of editor/writer Brian Dawson, who (thankfully) takes my poor writing and transforms it into coherent thoughts and anecdotes on my work. Issue 06 takes us to the three year mark, it’s a true labor of love, but a great talking point at meetings and portfolio reviews. I was feeling like I was on a roll with Image Source, so I pitched them a shoot in a custom guitar shop. Easier said than strummed, you might say. Luthiers, as top makers of stringed instruments are known, are hard to find these days. Good ones, anyway. For months I searched, to no avail. I’d all but given up when I stumbled upon Echopark Guitars, a small shop in the eponymous L.A. neighborhood. 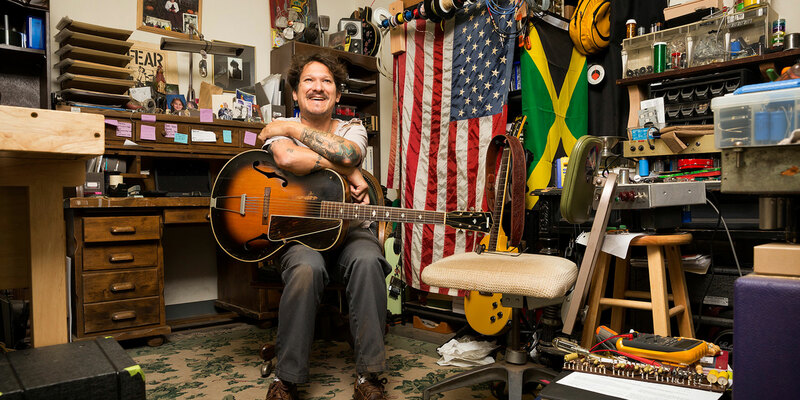 Owner, founder and Echo Park denizen Gabriel Currie is the real deal, able to craft guitars for every style. His clients include Jackson Browne (the famous folkie) and Aerosmith’s Joe Perry (the famous riff shredder). Gabriel Currie, a certified Master Luthier, first became fascinated by guitars when he was a kid. He ultimately studied under the legendary Leo Fender, as well as a slew of other Masters, and now pours his knowledge into his L.A. ship, Echopark Guitars. 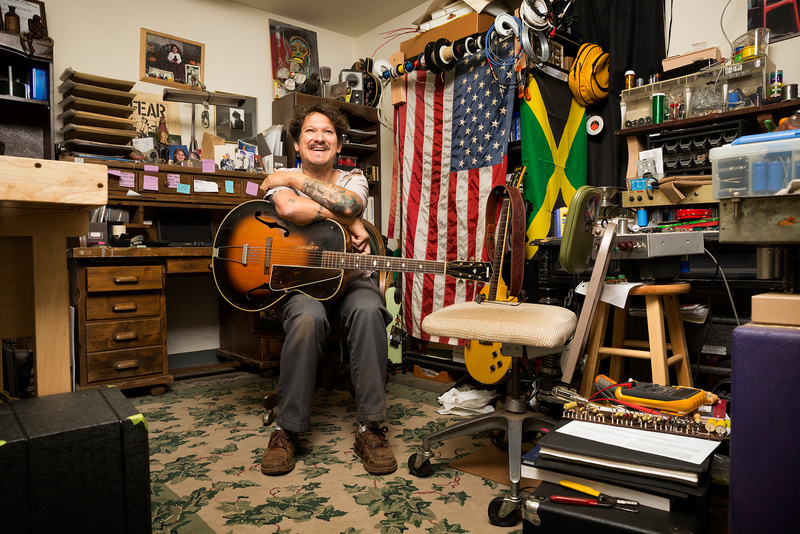 For the better part of an afternoon, Currie and his welcoming crew of tuners and technicians enabled me to document every stage of making a guitar. I got a few portraits, as well – always my favorite thing to shoot. A “day in the life” environment of this kind is always a fun challenge; I need to work quickly and make use of the proverbial eyes in the back of my head so I don’t miss an opportunity. Getting total strangers to trust me is always a journey into the unknown, but when it works it’s a thing of beauty. I always follow the advice of my mentor, photography legend Harry Benson: Get in and get out, leaving nothing behind. 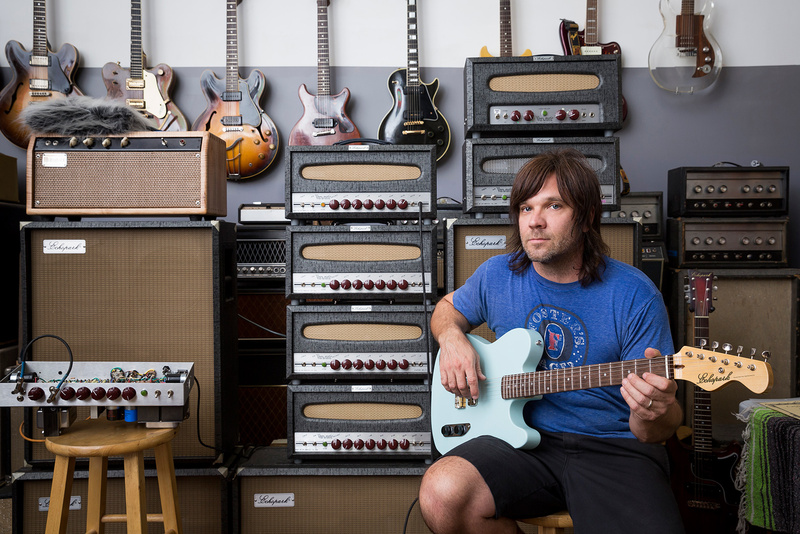 Keith Home in the tuning shop among Echopark’s amps and axes. Our story is that she’s in her apartment hanging out, indulging herself – having a drink, a smoke, a moment to herself while getting ready to go out. Working with a new client is always exciting. Not long after I moved to Los Angeles, I came across the work of veteran creative director Charlie Hess and immediately put his UCLA Magazine on my hot list. I soon set up a meeting; if I can meet a potential client in person, I always do. A few weeks later, I was thrilled to get a call to gauge my interest in shooting three of UCLA’s standout gymnasts and their coach, Valorie Kondos. Not just garden variety portraits, though. Charlie pointed me toward several videos online that showcased their unique floor routines. The dynamic performances were impressive on a computer screen; they were utterly mind-blowing in person. Unlike in standard gym competitions, the UCLA trio added contemporary dance moves to fill the gaps between their flips, tumbles and – the mere sight made me wince – splits. Ian’s ProRoller X200 packed and ready to go. Happy Whistler BP 450 AW. Shooting wearing the ProTactic 450 AW.